🙂 To mam radost, doufam, ze se vam tu bude libit 😉 Snazim se davat nove recepty kazdy tyden. My husband is Czech so your videos are wonderful. What meal do you serve these pancakes with please? Are they served on their own or as a side dish? My grandmother used to make these and as I was watching you fry them I could almost smell the yumminess! Sometimes on a Saturday afternoon she’d just decide to make them for a hot snack. I’ve not had one in about 30 years…I think it’s time I start making some. Thank you Shawn for sharing this sweet memory of your grandma. Wow you didn’t have these for 30 years. Definitely time to make some. 🙂 I hope mine tastes as good as the ones your grandma made. I love your videos, it really takes the guess work out of trying your recipes. Although my mom was born in Germany she is born of a czech mom and dad and claims czech ancestry as do I. Love love love the website which I found by accident as I searched “strudel in czech”. What a find!! God bless. I have not yet tried any of your recipes but I have to tell you they look so good. These potatoes are one of my favorite dishes and I am going to try these tonight. Thank you for taking the time to do these videos because without them we would never be able to experience true Czech food and actually see how to do it. Love these videos! The only reason I have not tried them is because a friend just sent me the link a couple of days ago … thank you again! I am Czech, made the sauerkraut tonight with breaded pork chops and spartzle. It was delicious. My family loved the kraut. I never thickened it with flour before, I am a convert. I will use your recipe from now on. I have never been to the Czech Republic before, it is on my bucket list. My grandparents were born in Prague. Can’t wait to go th Czech Republic. I am glad to hear how much you all enjoyed the sauerkraut Paula! I hope you can visit Czech Republic soon! You will love it! Omg I can’t wait to make these I’m so happy I found u. It reminds me of when my baba would cook for my dad and Jetta when I was a little girl. I can’t wait to cook this up for my boyfriend. Keep up the amazing videos. Love it. Ps: my baba passed away when I was only 11 and she wanted to teach me before she was to old too but we never got to. So it’s nice to see u teaching people thank you. 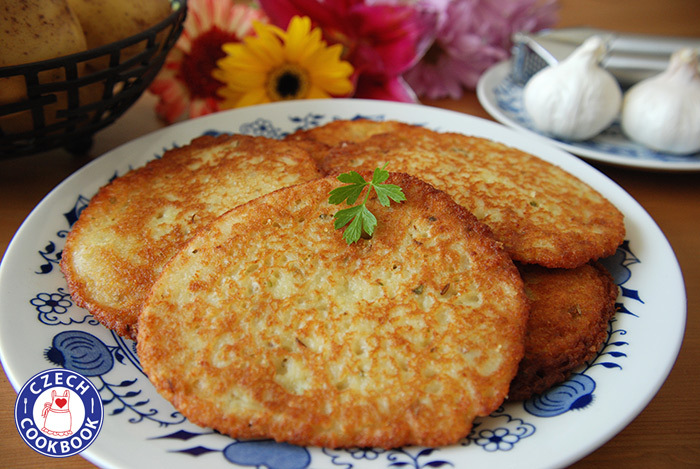 My grandfather used to put raw onion in his “harulla?” He also made palacincky which were so nice and thin!! Ih how I miss those days. Glad I found your website!